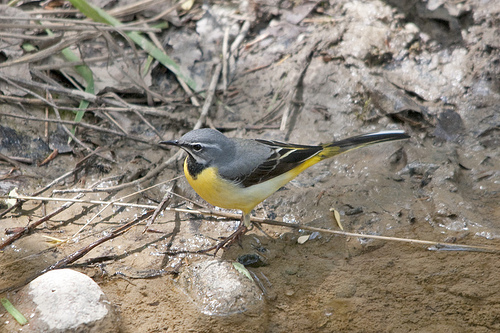 The Grey Wagtail is easily recognisable by its long tail and grey body. It is commonly found near little streams. 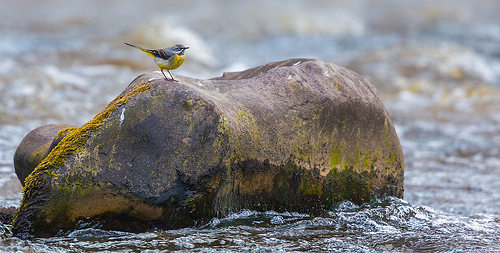 The Grey Wagtail has a grey upper body. The Yellow Wagtail is yellowish green.